FIRST, make copies of your originals in multiple places ~ on your HDD, Backup HDD's and burn a CD as well! 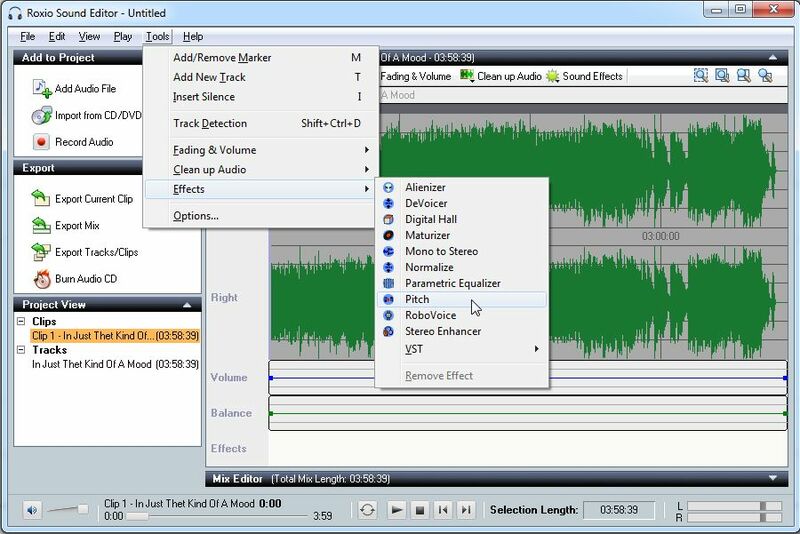 I am far from an expert in audio but using a copy of the file try the pitch correction in Roxio's Sound Editor. 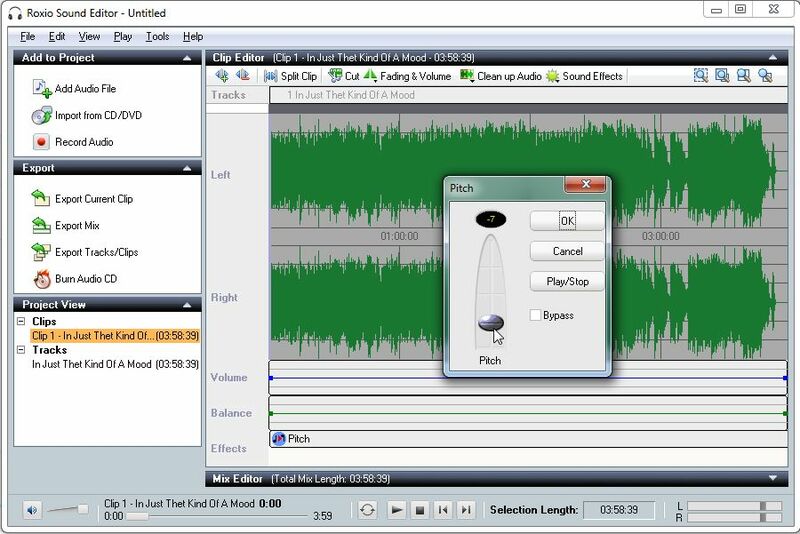 Use Ctrl-A to select All of the clip then bring up Pitch. You can use the Play/Stop in there and adjust the pitch slider while you are listening. Standard disclaimer, I receive no remuneration for suggesting Goldwave. I'm simply a long-time, satisfied user of the product, suggesting it because it has capabilities beyond what Roxio offers.